I was traveling down Interstate 20 a few weeks ago and decide to stop and visit Baird, Texas for a few hours. Actually it was my wife that wanted to stop because in 1993 the Texas Legislature to Baird, Texas named Baird the "Antique Capital of West Texas" even though there were only a few antique shops in town. There are two things I like about the Texas Legislature, when they do something nice like this for a community, which means they don't have time to mess anything up and when they are out of session. 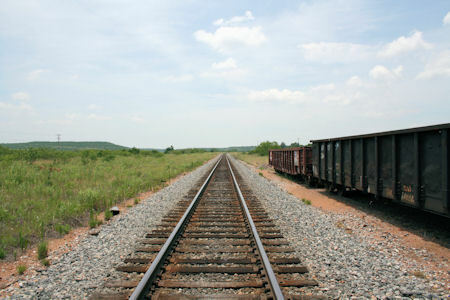 Baird came about when the Texas and Pacific railroad came through in 1880 headed toward the Pacific Ocean. They only made it to Sierra Blanca but in the mean time Baird became one of their big railroad centers. It had shops to maintain and repair the rolling stock and a round-table to turn the train engines around. In 1911 Baird was such an important part of the T & P Railroad that they built a new passenger station. At the communities request the new station was placed on the north side of the tracks so visitors could stroll down Market Street without having to cross the busy mainline railroad track. 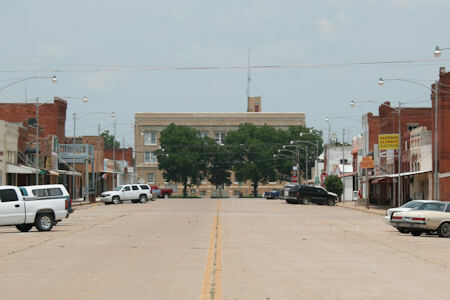 Looking down Market Street you can see the Callahan County Courthouse. In 1911 on either side of the street were many stores, shops and other opportunities for train passengers to spend money with local merchants. Time began to pass up Baird. 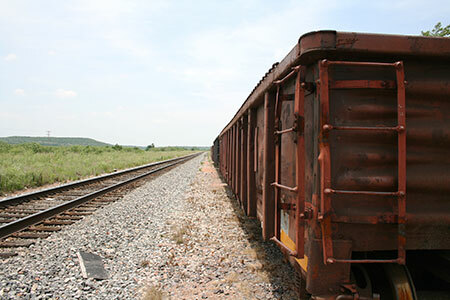 Trains converted to diesel engines and the shops were moved from Baird to Fort Worth. Oil and gas were discovered nearby and that helped sustain the town. 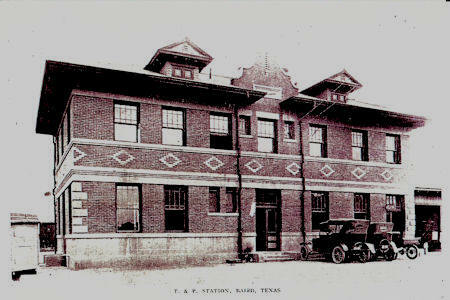 As far as the railroad was concerned the Baird Passenger Station became a place for administrative and communications offices. What was left of the maintenance shops and the turntable were removed. Gone were the passenger trains. The only time trains stopped in Baird was to change the crews. In the early 1990's the Baird T & P Passenger Station stood abandon and Market Street was virtually empty. Then the citizen of Baird really got to work. They formed "The Baird Foundation" a non-profit 501 C-3 corporation. 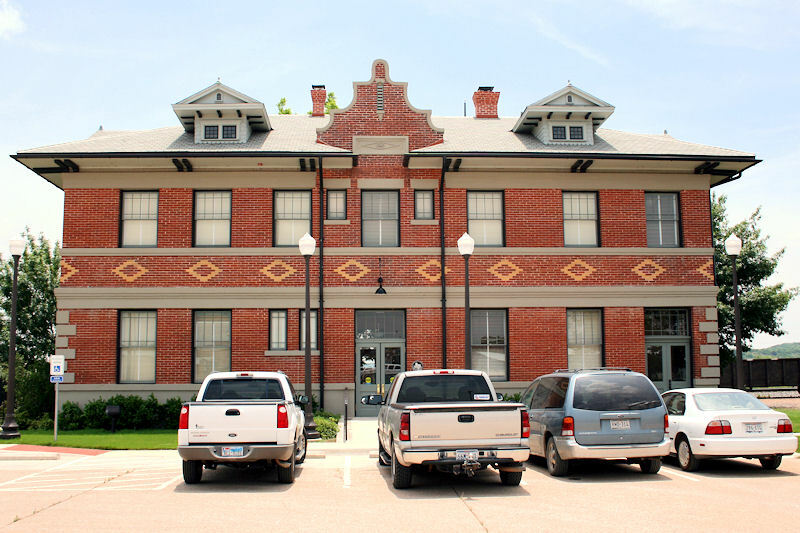 With the help of a grant from The Texas Department of Transportation 2001 Enhancement Program and other funds raised locally the Baird T & P Passenger Station has been restored and now houses the "Baird T & P Depot and Transportation Museum" and the Chamber of Commerce offices. The day we were there the staff was still working on exhibits and displays. 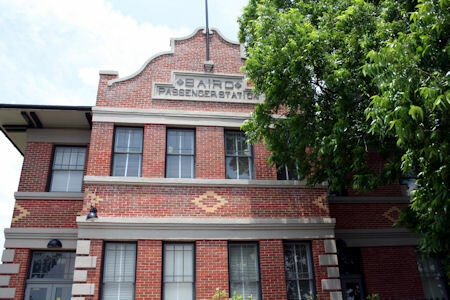 The restoration work is first rate and the building has been updated to current ADA standards. If you walk around the station as I did, be careful. The adjacent track is very busy and the trains don't even slow down.